No matter what your fiberglass pool or fiberglass lined pool condition is in now, it can be restored to its original watertight integrity and beauty. 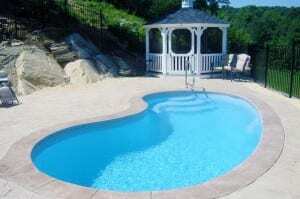 We can repair and refinish your aging pool. We can repair any leaks, stains, algae, and appearance problems you may be having. We can restore your pools gel coat or fix or repair fiberglass structural problems such as cracks and chipping or peeling.